Exchange Student Valentine attends first Rotary Event. 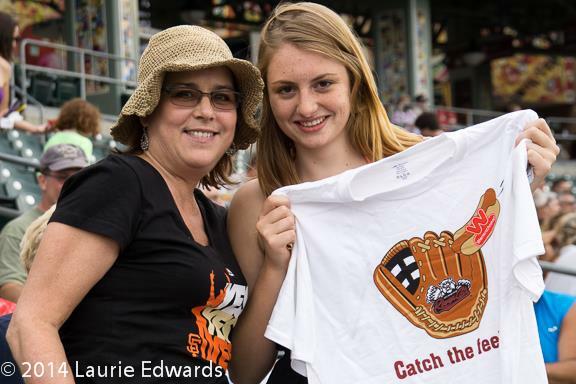 Our exchange student, Valentine, attending her first Rotary event: Rotary at River Cats Day. (She arrived the previous evening.) Valentine caught a t-shirt that was thrown into the stands. She also enjoyed riding the slide. Welcome Valentine!